I really hate the house shopping process. Some people enjoy it. I am not one of them. However, I do get really excited when I walk into a house and can see all the potential in it. Such was the case with Bachelorette Pad #1. As soon as I walked into the house, I saw exactly what I wanted to do. I knew the colors I wanted, the fixtures I wanted to replace, the flooring I had planned, and every other possible detail. That’s the planner in me. 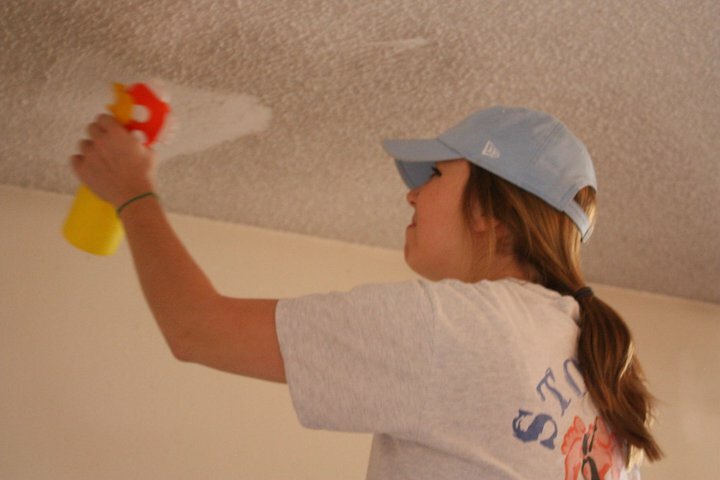 The first task I tackled was scraping all that popcorn texture off the ceilings. Let me just say, this is not a task for the faint at heart. I probably cursed and quit about a hundred times. However, I think it’s one of those details that really modernized the home, so I’m glad I stuck with it. Knowing that kitchens and baths are really what sell a house, I planned on focusing most of my attention (and budget) on those two rooms. 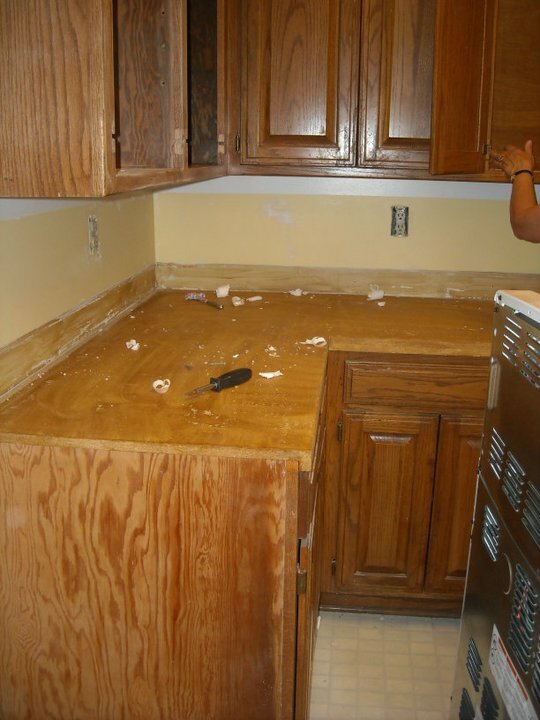 The first project in the kitchen was to remove those dated country blue faded countertops. I had never torn up countertops before, but, surprisingly, it was a pretty easy process. For the most part, they come up in large chunks. The previous owners must have been overly patriotic because the house was painted in lots of red, white, and blue. Since those are such dominate colors, it required a lot of KILZ primer. 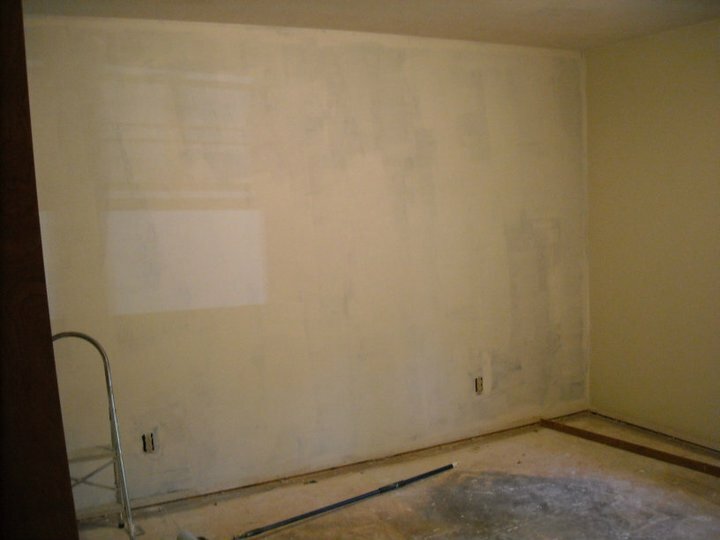 Even with just the primer on the walls, I started seeing a difference instantly. 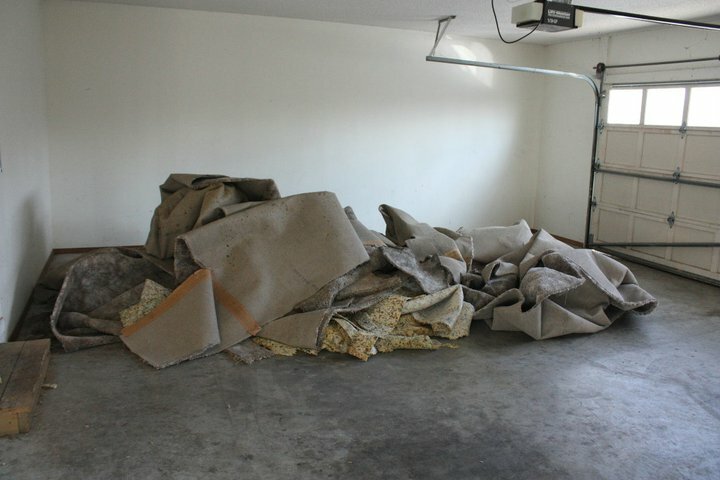 The next task was to remove all the old carpet. I enjoy the process of destruction probably more than construction, so I enjoyed ripping it all out. It didn’t take too long before it was all out. Luckily for me, I didn’t have to pay to haul it off. After a free Craig’s List post, half of it was gone & the other half I put at the curb for the trash guys. My house pretty much stayed in this condition for the entire first year. No carpet. No furniture. Just lots and lots of dust & tools. In addition, I didn’t have cable or internet for most of the two years I lived there, so it was definitely creativity building. It’s not surprising that those were the years that my running hobby was developed. I decided to update the kitchen by keeping the original cabinets but painting them a crisp white color. 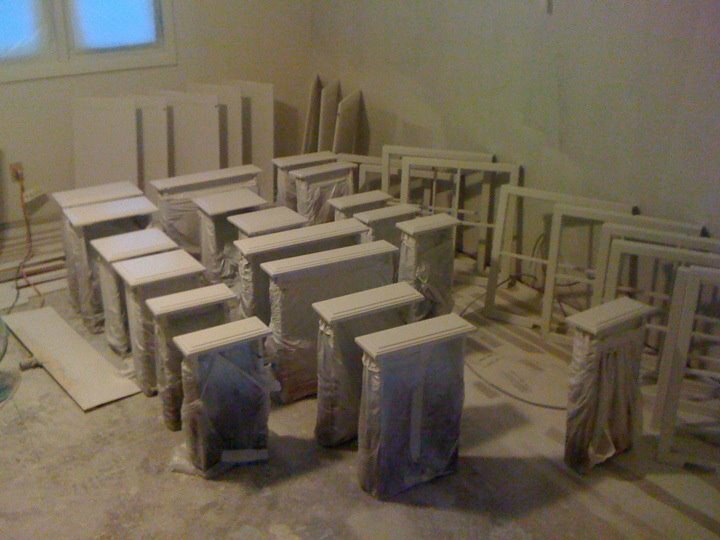 In addition, I had all the trim, doors, and windows painted a crisp white. By far, this was the most noticeable change in the house and really brought the house out of the 1980s. I removed the dated wooden spindle on the half wall and to create symmetry in the living room, I cut the other wall in half. 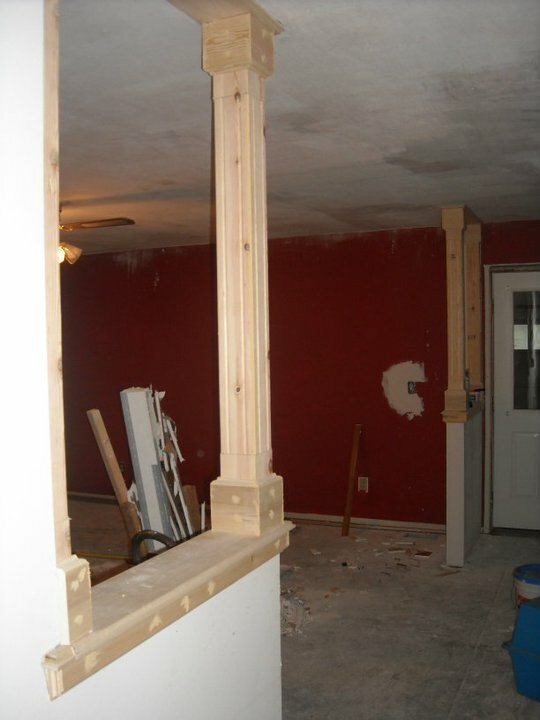 I then had these unique wooden beams built to add some character to the house. I think this was my favorite change in the entire house. In both bathrooms, I removed the contractor grade mirrors (and then promptly sold them online which paid for the faucet). While they serve their purpose, I think those mirrors are a dime-a-dozen and offer no character to one of the most important rooms in a house. 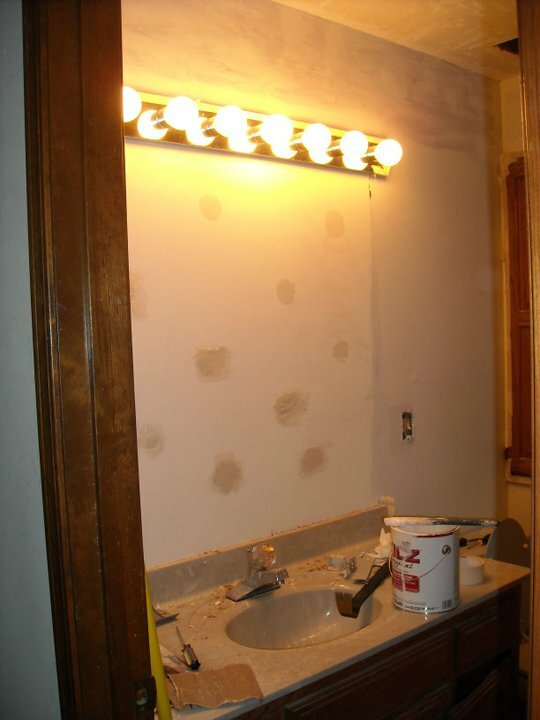 I carefully removed the mirrors from the wall and then quickly patched the sheet rock. 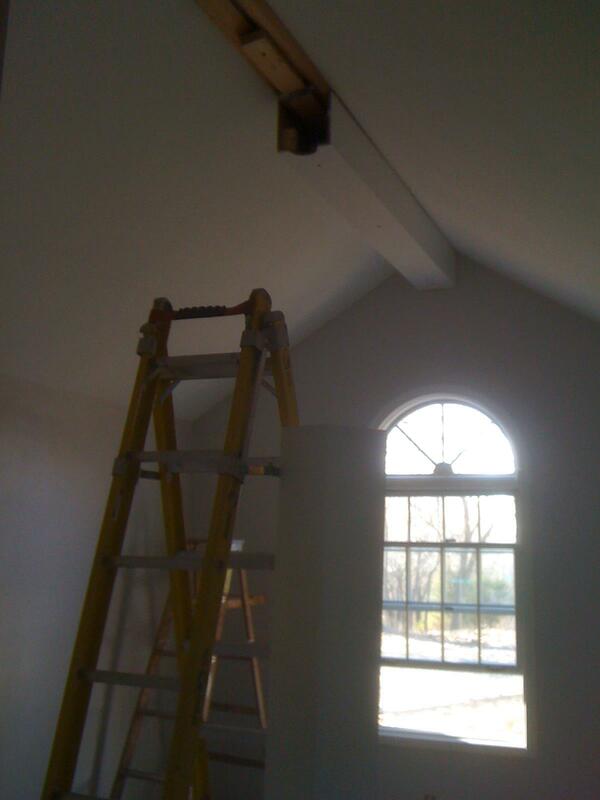 Another addition I added to the Bachelorette Pad was a hand-built wooden beam to hold the ceiling fan in the “office” room. While I could have just attached the fan to the ceiling, I liked the idea of a focal point in that particular room because it was smaller but had such a unique pitch on the ceiling. Like I mentioned previously, the house was so dark and gloomy. 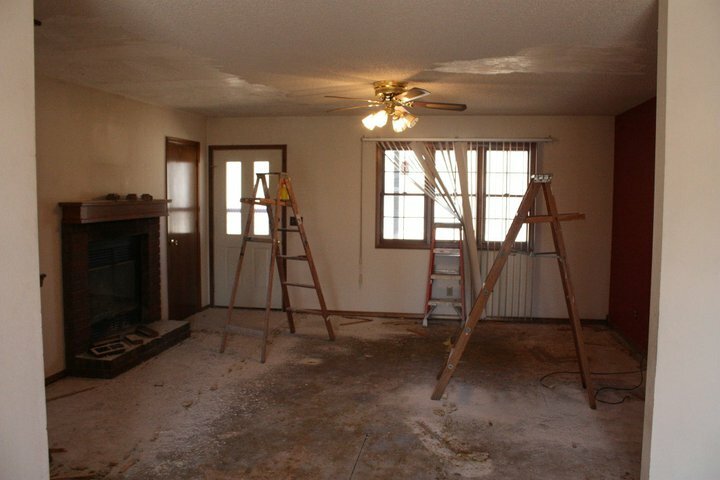 In particular, the fireplace was just awful. There was so much dirt & grime on the red bricks that they appeared to be black bricks instead of red. I knew if I wanted to keep with the vision I had for the home, I had to brighten up that focal point in the living room. 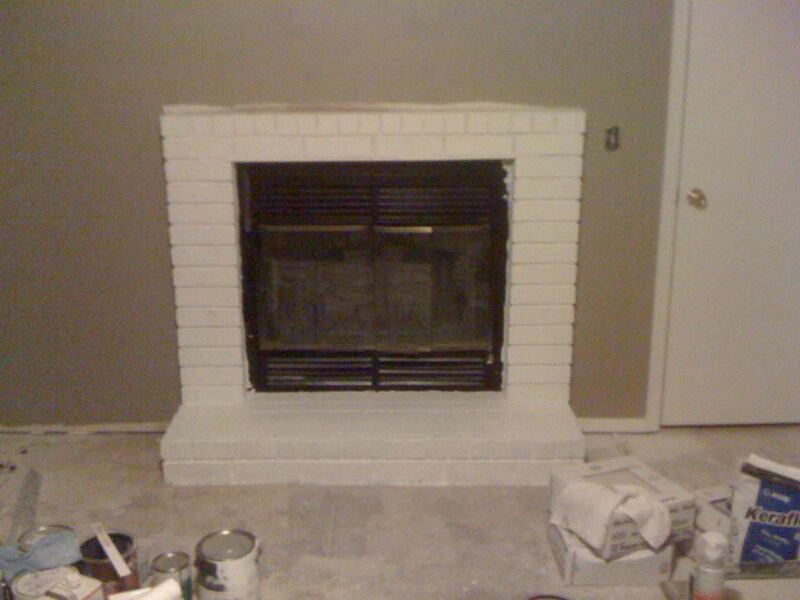 After several (and I do mean SEVERAL) coats of paint on the bricks and the insert as well, it was finally a cozy fireplace instead of a catastrophic one! I mentioned I have talented friends and family. 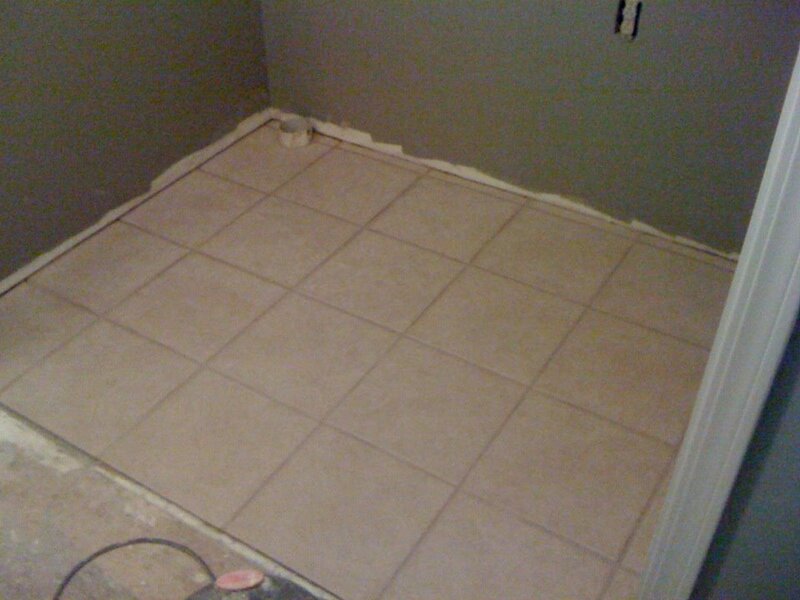 Fortunately for me, my dad knows how to tile. So after I removed all the carpet from the bathrooms (yes, carpet in the bathrooms), Dad laid all the tile in the kitchen, bathrooms, and laundry room. Except for the special order tile in the kitchen, I was able to purchase the rest of the tile at a close-out warehouse for a fraction of the price. 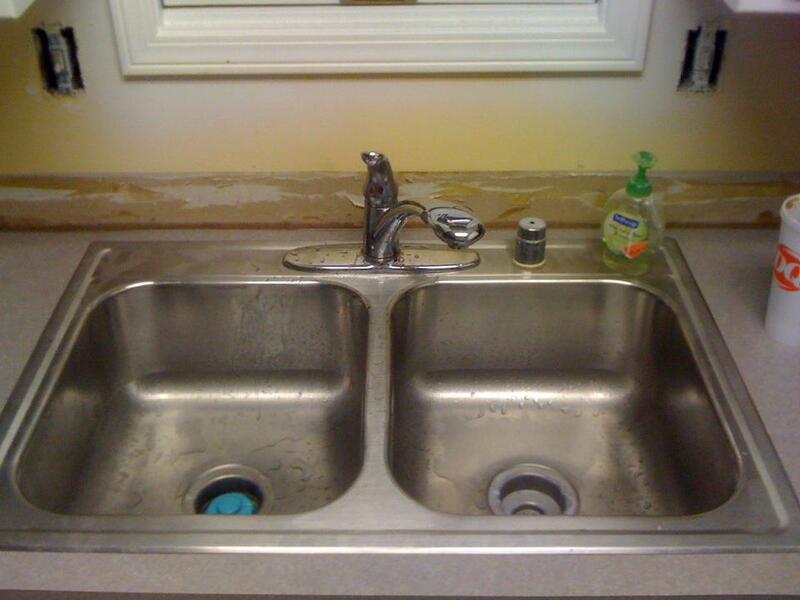 Unfortunately, the kitchen sink that was in the house was in awful condition. There were stains and rust that I could not remove. To add to the list of things I learned in this process, I learned that kitchen sinks are not cheap. After walking away with sticker shock, I hit up some local Goodwills and found this gem with the faucet for $20. If possible, I try to purchase most of my items at close-out warehouses or second-hand. Of course, that’s not always possible, but it definitely helps the budget when I can.